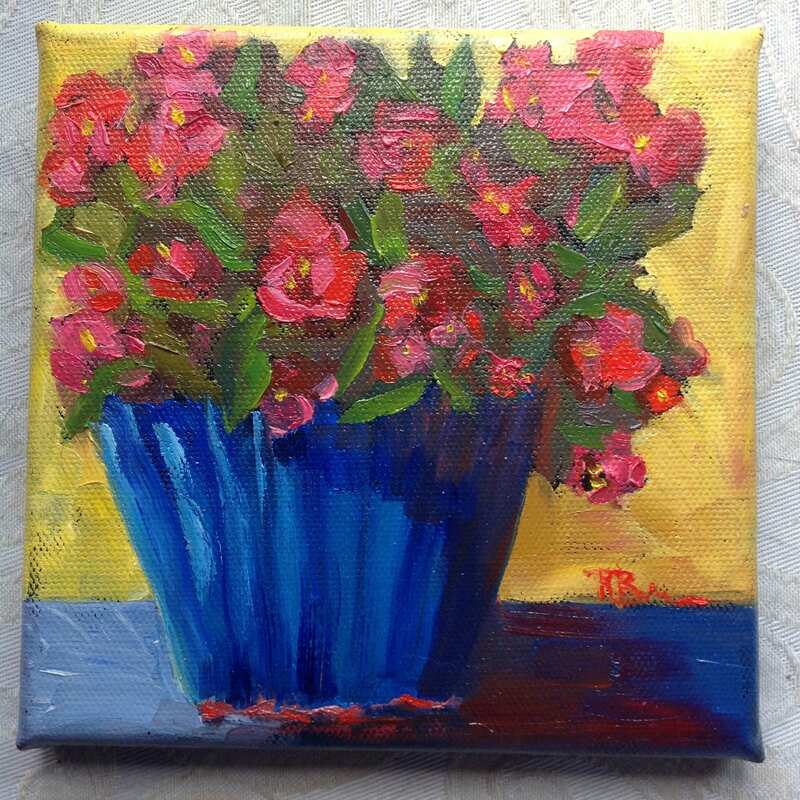 BLOOMING BEGONIAS is an original 6" x 6" oil painting. 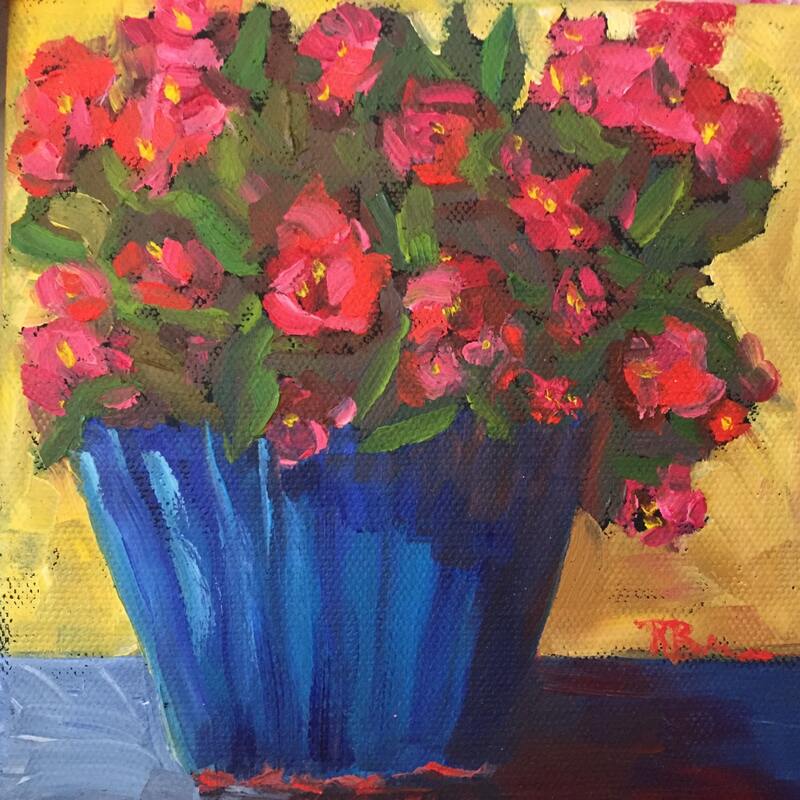 It is an impressionistic picture of begonias blooming in a bright blue pot. 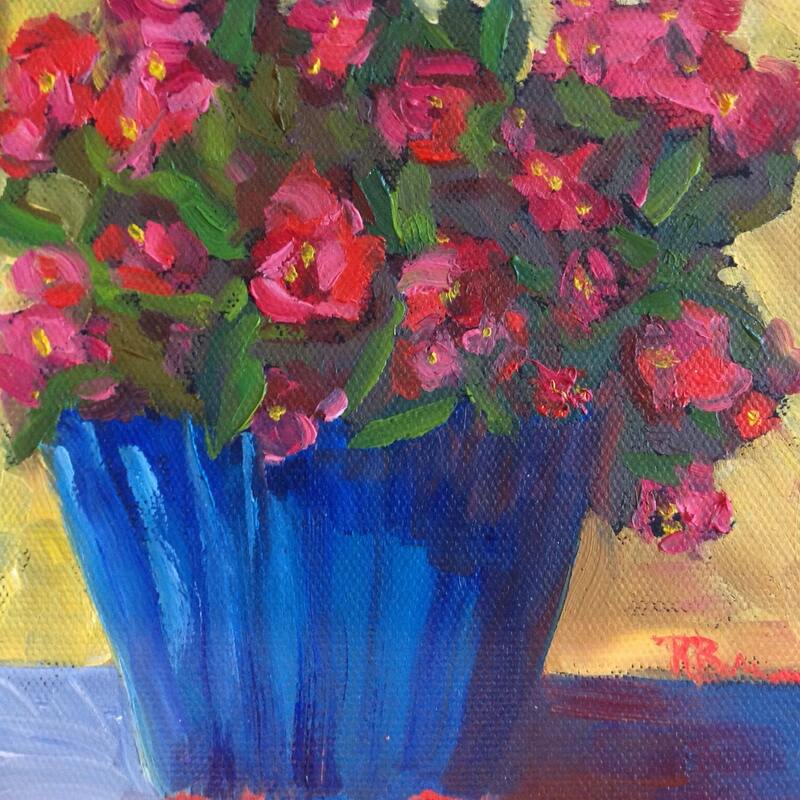 The deep reds, pinks and greens of the flowers are a perfect accent to the cobalt blue pot. I saw this pot of blooming begonias when I was visiting my mother. The bright blue pot was so attractive, and the overflowing blooms at the height of summer were so pretty. 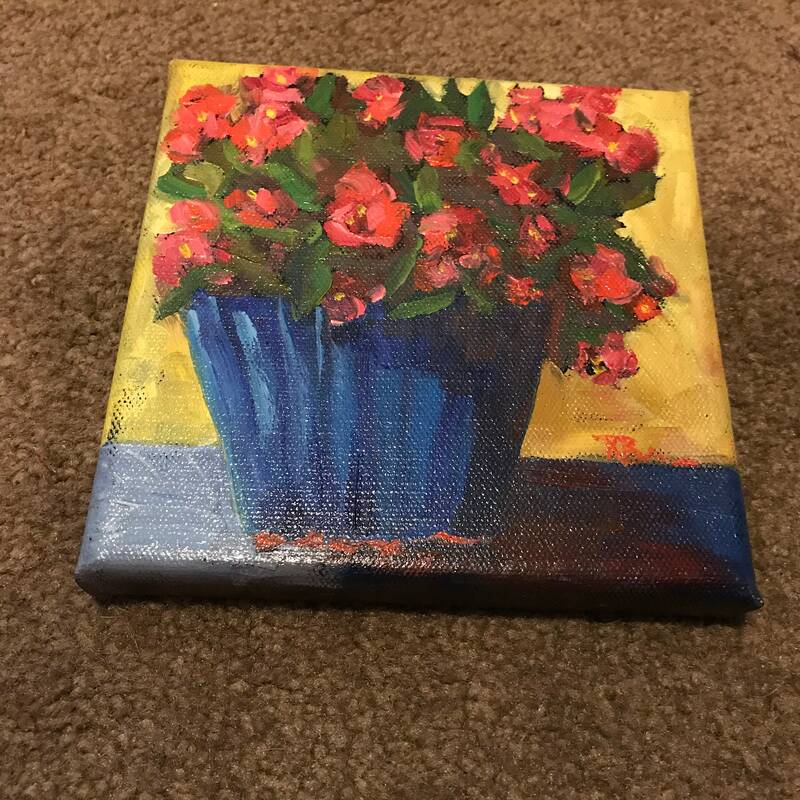 I just had to paint it! I love this little painting so much, I made it my banner on my ETSY gallery. This oil painting is on a Professional Canvas, and is ready for framing. 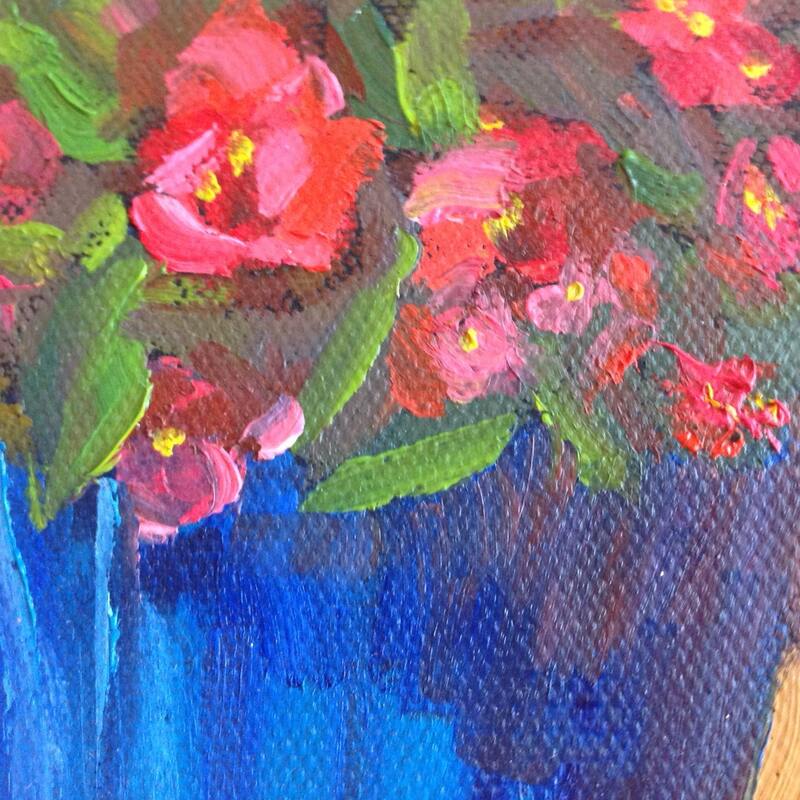 This is a wonderful Mini Painting that would look perfect on a shelf in your office or at home. It is unframed, but works fine just on a shelf without a frame. Or is can be framed in a gold frame for maximum eye appeal.